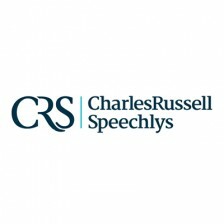 Charles Russell Speechlys is a top 50 UK law firm, headquartered in London with other offices in the South East (Guildford) and South West (Cheltenham) of England, Oxford, Cambridge and an additional London office in St. James’. Recent international expansion has added an office in Geneva, Switzerland, and Manama, Bahrain. We have around 380 fee earners and a total staff of 650. We have the expertise and size to advise on complex, cross-border transactions and to project manage the input of our networks of major law firms around the world. Clients range from international and FTSE listed businesses to individuals, from governments to not-for-profit bodies. The firm is known for its client care, expertise, and cost effectiveness. The strategy is simple – to help clients achieve their goals through excellent service. More than half of our partners and numerous associates are ranked as leaders in their field in leading UK legal directory, Chambers & Partners, A Client’s Guide to the UK Legal Profession and The UK Legal 500. The firm’s expertise spans a wide range of sectors including Charities and not-for-profit, Technology, Media and Communications, Healthcare and Pharmacy, Commercial Property, Retail, Sport and Construction.